Encouraging people out of their cars to help improve air quality is the aim of three projects that Chichester District councillors have authorised funds to be spent on. The projects are being funded by a £70,000 grant from the West Sussex Business Rates Pool scheme. Developing a local cycling and walking infrastructure plan. Carrying out a feasibility study to look into converting the pavement to the north of Oaklands Way into a combined walking and cycling path. This will be carried out in partnership with West Sussex County Council as part of their work for the Strategic Transport Investment Programme for Chichester. An ecological study for the Selsey Community Forum as part of work to develop a cycleway from Selsey to Chichester. 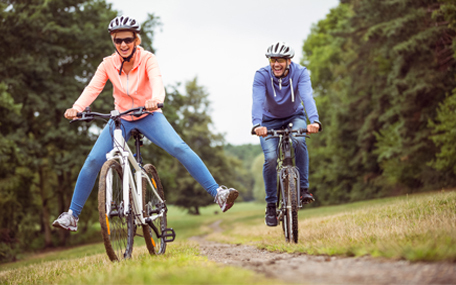 "We hope that these projects will make a real difference to air quality in the district by creating a safe space for cycling," explains Councillor John Connor, Cabinet Member for Environment at Chichester District Council. "By putting in place more infrastructure we hope this will encourage people to leave their car at home more often and help reduce car emissions as a result. "We are delighted to have been allocated this funding from the business rates pool scheme, and we are also grateful to our partners who will be supporting us in these projects."